Full HD displays? Eat your heart out, handset manufacturers. LG Display has just laid claim to the world's first Quad HD (2,560 x 1,440) smartphone display, which also boasts the highest pixel density of a mobile device, clocking in at 538ppi. The firm's panel measures up at 5.5-inches and is only 1.21mm thick, and just 1.2mm at its bezel. According to LG, that makes it the world's slimmest and narrowest panel, stealing the crown from hardware it showed off last month. Thanks to its use of AH-IPS tech and Low Temperature Poly-Silicon (LTPS) substrate, the screen features 430 nits of brightness. If the Quad HD math is throwing you off, that's four times as many pixels as a 1,280 x 720 display. This isn't 4K on a portable display, but we'll take it. Does anyone know how much it would cost to buy a screen like this? Really just looking for a rough estimate. I don't know much about this stuff, how much is a 1920x1080 smartphone screen currently? I really wish that Oculus would at least consider releasing 2 versions at launch, one "Enthusiast" edition with a screen like this one for maybe $500 or so and then the standard 1080p one for $300. But I understand why they wouldn't, as especially for a first shot at it, you don't want people to think they are getting a "lesser product" by buying the standard version. But if this screen is $400 alone, obviously that would be impossible. Whoa, announced sooner than I thought. I was expecting October at the earliest. The rumors were right after all. Looking forward to seeing this in person. superbike81, I've seen LG's 1080p 5.5" panel listed for under $45(in >10 quantity). I wouldn't expect this over $150(I actually guess easily under $70 if mass produced). I think Oculus has said the minimum resolution they want is 1080p. They will probably do 2560x1440 as it is right now(these higher resolution screens will probably be in lots of phones). Thanks for the info! Cheaper than I expected. THATS GREAT NEWS so we can expect consumer rift to be 2560X1440 that will be picture perfect VR. I've always secretly thought that maybe the reason the DK2 isn't coming out this year (if ever) is that they were holding out for an even better screen. Doesn't the prototype use an LG panel? Maybe Oculus VR knows something we don't about a deal with LG? dollars. And minimum order quantity will be a few millions. I doubt this screen will be available to low quantity buyers like Oculus for a halfway reasonable price by 2014. Unless maybe,maybe LG would want to build a good relationship with Oculus (maybe even binding) for the future. Screen makers are pretty aware that they will need a new market that drives their business a few years longer. LG Display newly announced a 5.5-inch 2560x1440 resolution 538 PPI LCD panel could be perfect for commercial Oculus Rift? LG Display just announced a LCD panel for mobile devices with the worlds highest PPI (Pixels Per Inch) pixel density. 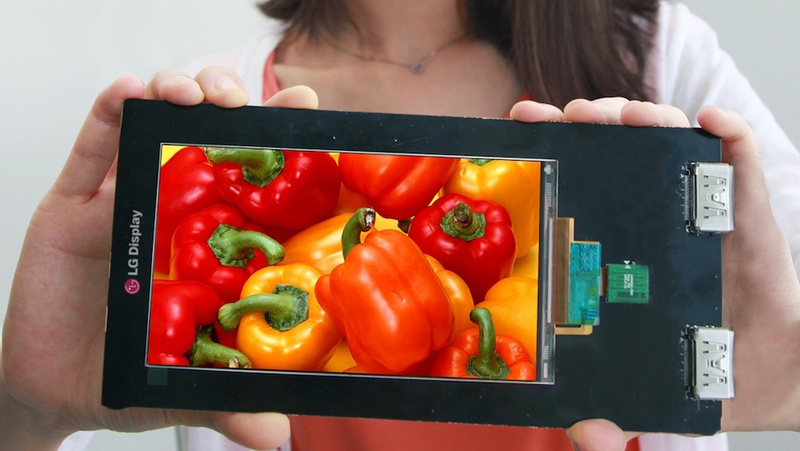 This new 5.5-inch LCD display panel with 2560 x 1440 resolution that makes 538 PPI, could be perfect for Oculus VR? This 5.5-inch display panel features 430 nits of brightness, and measures only 1.21mm thick, with 1.2mm bezels. LG claims that it is not only the highest resolution display panel for smartphones, but it is also world's slimmest and narrowest panel, achieved by using AH-IPS technology and Low Temperature Poly-Silicon (LTPS) substrate. For comparison; 2560x1440 resolution display panel have 3,686,400 pixels, compared to FullHD 1080p (1920x1080) 2,073,600 pixels. And the display panel in Samsung Galaxy S4 'only' have 441 PPI, while HTC One 'only' have 468 PPI. Disclaimer: Yes there are display panels with higher pixel density, but they are not affordable nor mass produced. very nice. Now lets see if 4k LTPS panels also make it into the smartphone/phablet market in a few years. Wouldnt be that absurd considering that resolution in smartphones already has catched up with TV HD standard ,Korea officialy announced broadcasting of 4k TV and Japan Display already made a 651ppi panel at 2 inches. IMO, an HMD would make much better use of this resolution than a smartphone. I really don't see phone manufacturers jumping on panels over 1080 any time soon (if ever) except perhaps for premium (and hence, lower volume) products. I think it's very possible for HMD sales to be in the millions, so I wouldn't count Oculus out from being a valid LG partner. Maybe those new Camera/Phones, as in, they are made to be a Camera(First) and a Phone(Second) might want something like this as a display. But I hope it gets into an Oculus HMD first. Yeah, plus they are battery hogs. Hopefully they're eyeing the HMD market.. I'm not sure that even that has a benefit. At 5.5", I think the majority would have a lot of trouble distinguishing the difference between a picture on a 1080p screen and this quadHD (What a dumb name... I was expecting it to be double vertical and horizontal of 1080, not 720!) without magnification. But what about controller board for this screen? maybe this display is used for Crescent Bay? No it can't be, As its just LCD which don't support faster refresh rate or low persistence. So its NOTE4 display more likely. 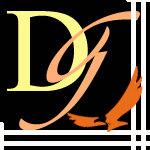 Last edited by Dilip on Wed Sep 24, 2014 9:19 am, edited 1 time in total. Mind you its LCD and not OLED thus low persistence wont be there. This is AH IPS LCD. I 've tried almost everything, but I can't find a controller board for this screen display! they may not put tracker in this box. This is only a box to put the LG G3 phone! I don't want use the entire phone. you do require entire phone. I strongly doubt you could find anyway to drive that screen, unless LG make it Open source which will never happen. Dilip low persistence isn't exclusive to OLED, being LCD doesn't mean the screen can't be low persistence (dunno if it is or not as I have not looked at it). All current low persistence desktop monitors are LCD. Yeah your right, all GSyNc displays are not OLED. In-fact commercially known none are OLED. Still what about motion blur which is associated with motion to photon latency. So many things that disqualify LCD for VR purpose. Still you are correct low Persistence is not one of them which is not possible on LCD.